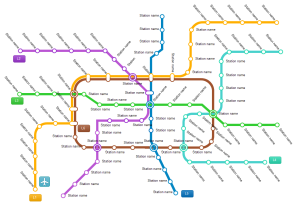 With Edraw, you can quickly create the subway map using vector metro symbols. 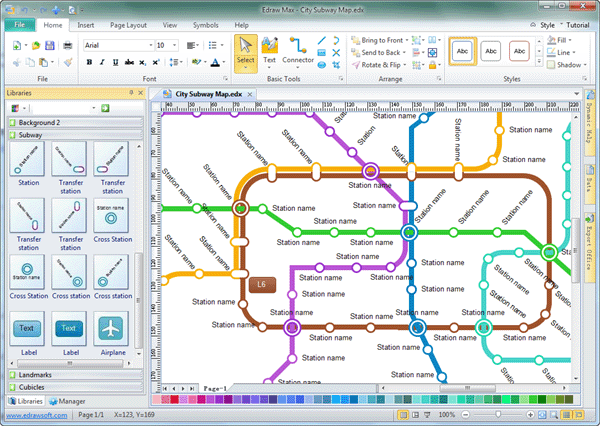 Edraw subway map software is an automatic, all-in-one solution for subway designers. Edraw is also ideal for designers who need to draw a map of other kinds of roads in the city for the following reasons. Ability to drag and drop shapes from numerous object libraries. More than 8000 vector shapes are available to breathe new life onto diagramming. Help users to get started as quick as possible with predefined templates and examples. Include but not limited to the creation of subway map. Over 200 kinds of diagrams can be generated. We Take Support To The Next Level At Edraw, we're insanely passionate about customer satisfaction. We hope you never have a problem, but if you do, we'll fix it. The designer can use Google map as reference. The graphic artist can follow the exact blocks with roads as shown in Google map and create re-drawn map and use a nice color scheme. The map will be printable and the color will be like the color of flyers or any maps for official use. The map can cover both segments and whole of blocks in a city and the color scheme will be in full color. The artist can revise the map later. The map size, line width and colors are all customizable. Seamless Third Party Integrations: Integrate with MS programs seamlessly. Plug us in and watch us go! 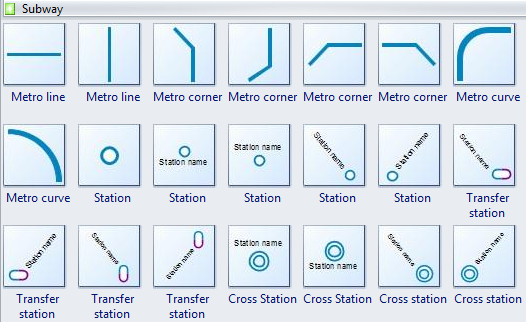 Lots of free subway symbols are available for metro line, metro corner, station, transfer station, cross station, etc. 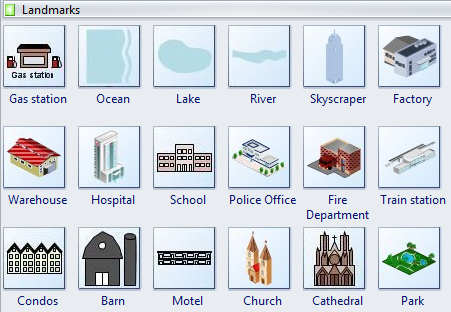 Plenty of free landmark icons are available for gas stations, restaurants, hospitals, schools, community offices and libraries, etc. 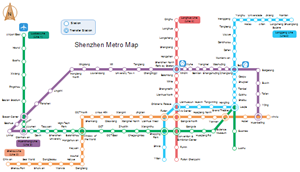 Click here to learn to Design a Subway Map Effortlessly in Minutes. If you are a beginner to ride subway, read these tips. Give this city subway map template a shot. You will definitely appreciate how smoothly it works and get used to it very quickly.